Nat Hentoff, renowned jazz critic, civil liberties activist, and fearless contrarian—“I’m a Jewish atheist civil-libertarian pro-lifer”—has lived through much of jazz’s history and has known many of jazz’s most important figures, often as friend and confidant. Hentoff has been a tireless advocate for the neglected parts of jazz history, including forgotten sidemen and -women. This volume includes his best recent work—short essays, long interviews, and personal recollections. From Duke Ellington and Louis Armstrong to Ornette Coleman and Quincy Jones, Hentoff brings the jazz greats to life and traces their art to gospel, blues, and many other forms of American music. At the Jazz Band Ball also includes Hentoff’s keen, cosmopolitan observations on a wide range of issues. 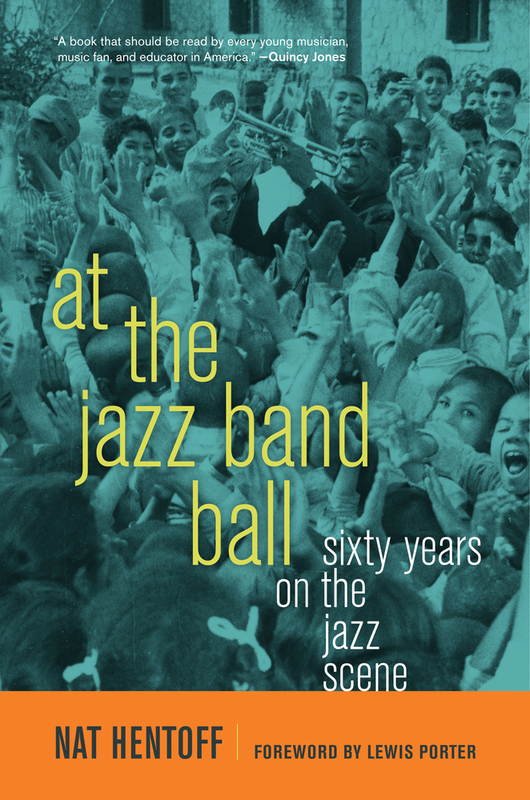 The book shows how jazz and education are a vital partnership, how free expression is the essence of liberty, and how social justice issues like health care and strong civil rights and liberties keep all the arts—and all members of society—strong. Nat Hentoff is an internationally known jazz critic and the only critic ever designated a Jazz Master by the NEA. He is a regular columnist for Jazz.com and the Wall Street Journal, the United Media Newspaper Syndicate, and the Cato Institute, where he is a senior fellow. His many books include Jazz Country; Jazz Is; The Jazz Life; Boston Boy: Growing Up with Jazz and Other Rebellious Passions; Living the Bill of Rights; and the forthcoming Is This America? 10. Is Jazz Black Music? Part Five. Who Is a Jazz Singer? 24. Are Krall and Monheit Jazz Singers? 44. Jazz’s History Is Living in Queens . . .